The McGill Herbarium wants you! The McGill University Herbarium is looking for dedicated volunteers to help curate its impressive collection of plant species from around the world. If you want to help with the conservation and study of plant diversity, come and volunteer with the herbarium. The McGill University Herbarium is looking for dedicated volunteers to help curate its impressive collection of plant species from around the world. If you want to help with the conservation and study of plant diversity, come and volunteer with the herbarium. 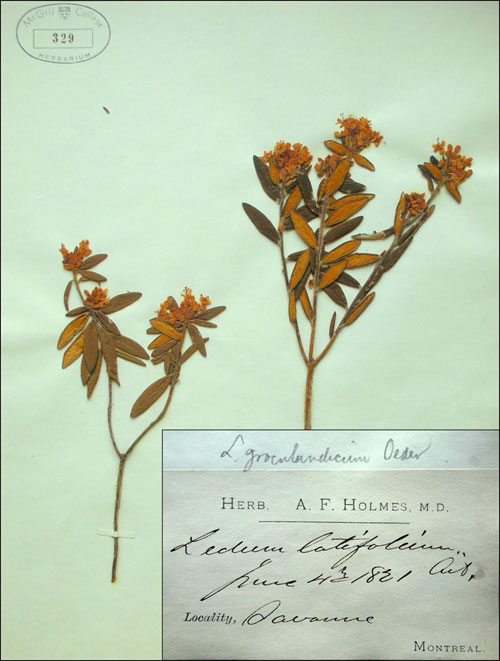 Tasks include preparing dried plant specimens; photographing and scanning specimens; and transcribing label information to our database from the comfort of your own home. For more information, contact Kyle Martins at kyle.martins@mcgill.ca. The herbarium is open on Wednesdays and Thursdays, 9:30 a.m. to 6 p.m., in the Raymond Building (R-1037) at MacDonald Campus.